When you sit down to watch your favorite show on television, there is something you can almost always be sure of. Regardless of what kind of genre you’re into, there is a certain element of that is critical for a show to be believable and truly resonate with its viewers – love. The visuals may be phenomenal and the plots riveting, but if you don’t believe that the characters actually care for one another, it’s hard to feel a connection. This is why once you do fall for a show, it may be hard to realize that the very people that love each other on the big screen, actually hate each other in real life. It’s not like we’ve been laboring under some sort of facade that everything that happens on screen is actually real. No, we understand that these are actors and actresses just doing their job. It’s just the fact that we give ourselves emotionally to these characters; and even though we know very well that it’s not “real,” perhaps we just retain some sort of hope (or dare we say assumption), that their real life counterparts love each other in real life, too, if not in a friendly or professional way at the very least. But for many of these characters, this sadly wasn’t the case. We all know how desperate those housewives can get, whether it’s within the confines of the fictional shenanigans they get themselves into on the show, or whether it’s off the set. 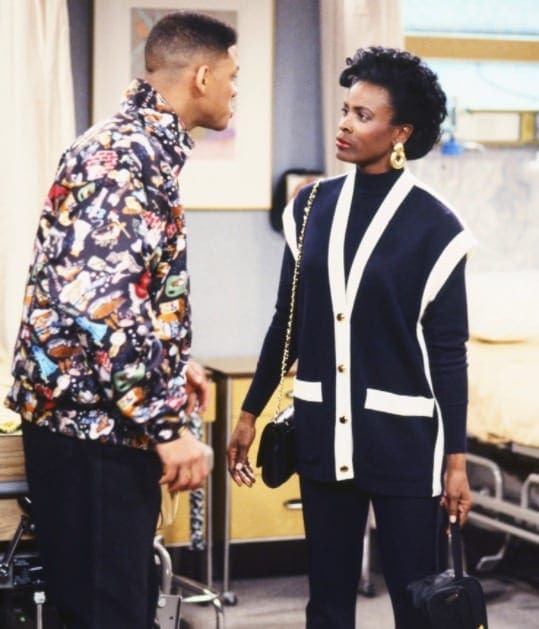 Sources say that apparently, Hatcher was the only one out of the group of “girlfriends” on the show that wasn’t friends with them in real life, often setting herself apart and being the loner of the bunch. Marcia Cross was allegedly her biggest rival, getting mad at her once for trying to steal the spotlight in a photoshoot. Although Marcia was her main adversary, apparently she wasn’t the only one who had a problem with Hatcher – co-star Eva Longoria had issues with her as well. For those of you that watched the modern day adaptation to the Shakespeare classic, Romeo and Juliet, you know very well that these two lovebirds were inseparable. Or at least, that’s what they wanted us to believe. Sources from the set revealed that in real life, there was indeed plenty of trouble in paradise for Danes and DiCaprio, given the fact that Danes avoided him whenever she could, because all he would ever do is goof off. Considering the fact that they were still very young at the time, you can’t really blame Leo for having some fun – and it obviously didn’t affect his career, so kudos to the epic actor. Alas, sometimes even the people who seem like there are the best of friends, aren’t so when it comes to the reality of matters. Sarah Jessica Parker has always been a well respected actress, but her co-stars of HBO’s S.A.T.C., such as Kim Cattrall didn’t realize how much. When Cattrall found out that Parker made more money than the rest of them, she reportedly got very upset, and that’s when they started to clash like two teens at an overheated slumber party. 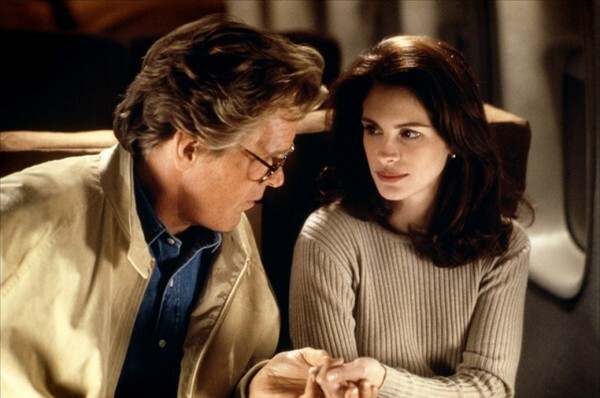 It turns out that the movie title, “I Love Trouble” truly did sum up the nature of its co-stars relationship. In the movie, the pair were a part of a heavy romantic relationship, but this was definitely not the case in real life. It is said that Nolte and Roberts couldn’t stand each other, with she not being so much a fan of his “macho man” appeal, insulting him whenever she had the chance. It truly is a wonder that they were able to be so convincing on screen. In the Fox Musical Drama series Glee, where singing in harmony is a constant affair, it turns out that not everything was quite as harmonious as we all thought. Lea Michele, one of the show’s main stars, consistently fought with her co-star Naya Rivera, and it even got very out of hand one day on set, during season five. Michele demanded that Rivera get taken off of the show… and very soon, her wish was granted. Talk about having a bit of influence with the producers. Charlie’s Angels has always been a classic, and there have been a number of adaptations. One of these adaptations was when Cameron Diaz, Drew Barrymore, and Lucy Liu were the three angels, and Bill Murray played Bosley. But Bill Murray allegedly would constantly provoke Liu in a negative way (those he may have perceived it as positive), telling her she couldn’t act. Perhaps he felt like he could help her improve her craft, but needless to say, he wouldn’t return for the sequel. Everyone who watched Beverly Hills 90210 when it was a staple on television knows better than anyone that Brenda and Kelly were quite the best of friends (most of the time). But those very people would be quite interested to know that their real life counterparts were not like this at all. Jennie Garth has admitted that there were in fact times where her and Doherty felt like clawing each other’s eyes out. Yikes! That truly does sound pretty hostile… Well, at least they got back together for the reunion. You would think that with a reality television show, what you see is what you get, right? Apparently not… Of course, even reality television has its hefty share of falsehoods, and such was the case with The Hills stars Lauren Conrad and Audrina Patridge, who may have started out as friends, but later didn’t really enjoy eachother’s company. Patridge says that the only reason they continued to hang out was for the show… After it was over, so were they. Does anyone have any tissues? 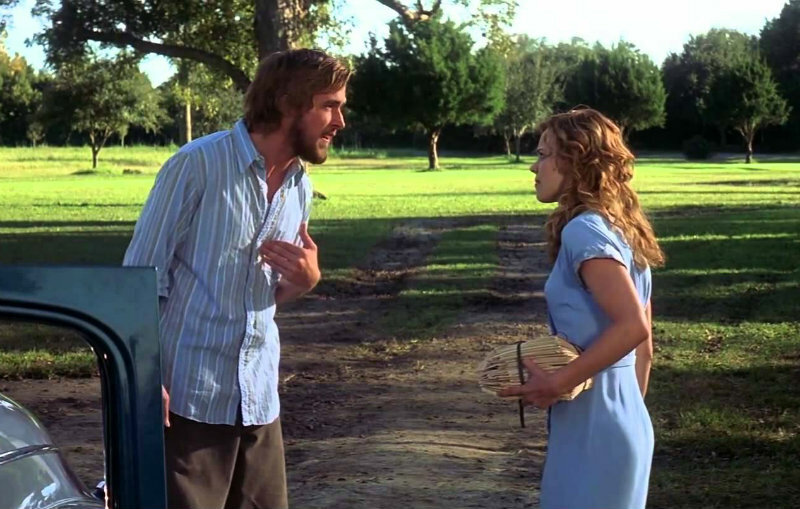 We just watched The Notebook, and we just can’t stop thinking about Noah and Allie’s true love for each other… Of course, we also just found out that they real life counterparts couldn’t stand each other, so maybe hold off on those tissues for now. Nick Cassavetes, who directed the film, revealed to everyone that Rachel McAdams and Ryan Gosling would fight all the time on set – but who knows, maybe that added to their on-screen tension. Remember Dirty Dancing from the late 80s? How could anyone forget that classic film, starring Patrick Swayze and Jennifer Grey portraying two characters that are involved in a steadily evolving romantic relationship. Of course, you may be saddened to learn that this relationship was purely fictional, and fictional alone. Swayze claimed that Grey was always in “silly moods,” and was always acting “emotional.” He said that they didn’t get along on the set because she was very unprofessional. We have been talking a lot about on-set feuds, and they have normally been revolving around adults. But what happens when the differences between stars occur on a show for young tweens? On the Nickelodeon teen sitcom Victorious, Ariana Grande and Victoria Justice may have seemed like they were friends, but there have been reports saying that there was a lot more going on behind the scenes, after a cyber battle occurred between the pair on Twitter – after Grande refused to appear in a Victorious tour. The whole point of Ugly Betty, played by America Ferrera, is that her character is constantly made fun of, and must deal with a lot of adversity. When Lindsay Lohan came to guest star on the show, it was supposed to originally be for six episodes, but her and America reportedly butted heads like crazy that she only stayed on the show for four episodes. However, a friend of Lohan’s said that it was all Ferrera’s doing, who would belittle Lohan whenever she got the chance. Yet another romantic relationship on screen that didn’t translate into much romance in real life was the coupling of Sharon Stone and Billy Baldwin, the stars of the 1993 drama film Sliver. In the movie, their intimate scenes together got pretty intense, but the second the camera stopped rolling, their passion translated into something a lot uglier. In fact, Stone reportedly bit Baldwin’s tongue in one of their love scenes – talk about a love hate relationship. When James Franco and Tyrese Gibson were both stars of Annapolis, Franco reportedly got deeply on Gibson’s nerves. The reason? Franco’s method acting style, which requires the actor to inhabit their character’s persona even in real life. But according to Gibson, Franco took things too far, jabbing punches at him at every turn. This makes sense, when you consider that they had a few boxing scenes together, but perhaps Franco should’ve known when to hold back. Fillion and Katic had so much trouble off of the set that they even got to the point where they would completely ignore each other when the cameras weren’t rolling. On screen, the two shared their differences, but it would eventually result in a loving relationship – and this wasn’t even close to the truth in real life. Well, kudos to them for leading us to believe that there was really something there… Who knows, maybe they’ll get back together for a Castle reunion – but somehow we doubt it. Ahhh, good old One Tree Hill. The place where dreams come true, and where lasting and loving relationships are made… right? Well… this was kind of the case on the show, for Sophia Bush and Chad Michael Murray’s on screen aliases…. And then they got married in real life too! This would’ve been great if he didn’t cheat on her, leading her to divorce him five months in. Unfortunately, One Tree Hill had to continue, and the disgruntled ex-couple were forced to spend a lot of time with each other.